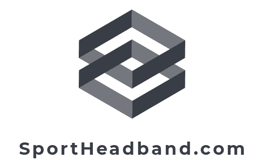 Red sport headbands terry for sweat. Red sport headbands are comfortable and absorbent. Great for games workouts or an accessory for a wardrobe. We have embroidered logo designs and a dark red color option for red athletic terry headbands. Red sports cotton terry-cloth headbands come in large wide styles and even a style for children. With all the options for the red head bands you will be able to find the style and design of red head band that you need.